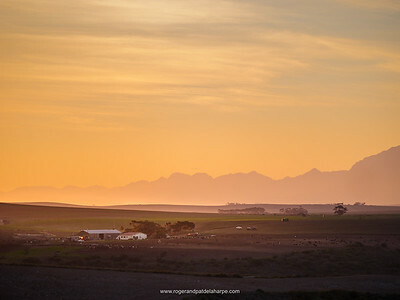 Malgas - New Photography of the Overberg - Roger and Pat de la Harpe Photography - Photographs, Video and Stock Images. Malgas? It's the sort of thing you see on T-Shirts: "Where the %&#^ is Malgas?". 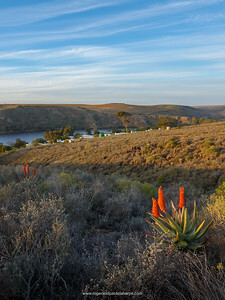 Well, it's on the south western bank of the Breede River in the Overberg region of South Africa. It's south of Swellendam and if you were to call it a hamlet, you'd certainly be overstating its size. Just 44 people live there. A delightful old store, a small hotel (the Malagas Hotel), some dilapidated barns, a few rather nice holiday homes along the river banks and, well, that's about it. Oh, and the pont. And it's the pont that makes it! 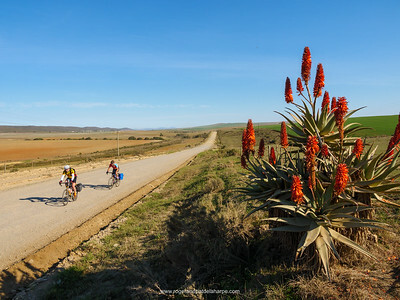 The town was originally called Malagas and, it seems, was the gateway to the Overberg/Swellendam region. To get your goods to the Swellendam area, it was easier, quicker and far less arduous to transport them from Cape Town to the Port Beaufort harbour near the mouth of the Breede River by sea, load the cargo onto a steamer (most probably the 158 ton Kadie) and sail upstream to the bustling commercial centre of Malagas and its pontoon ferry service (or pont), and then, only then, by ox wagon into the interior. The hand drawn pont (or ferry) service began in about 1860 and continues today - now the only service of its kind in the country. And it's not for those in a rush. Not in any way. Especially if the pont is on the opposite bank and the operators have been having lunch. Or tea. The whole episode can take a while but don't fight it, become part of it and I guarantee you that you will love the experience. 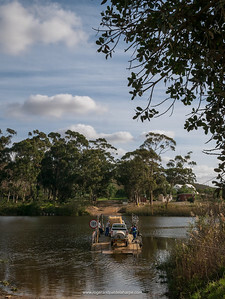 Malagas was the name of a local Hottentot chief who lived nearby, the name of the settlement eventually changed to Malgas because post destined for Malagas invariably ended up in Malaga in Spain rather than Malagas in the Overberg! 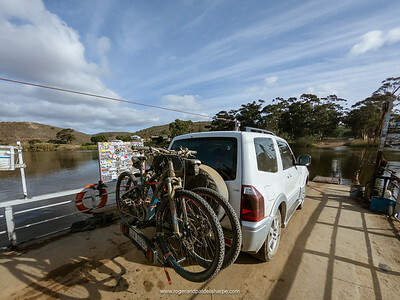 Anyway, all that matters not one jot when you are heading into the area to do some mountain biking and stock photography as was our intention. The onset of some flu put paid to what seems to be a very pleasant riding destination, but in no way curtailed the photo shoot. 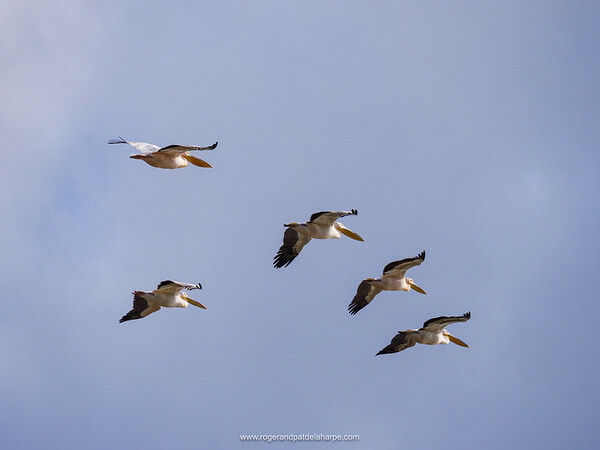 Malgas provided very easy access to Infanta, Witsand and De Hoop Nature Reserve and we shot up a storm. Check out some of the images below. 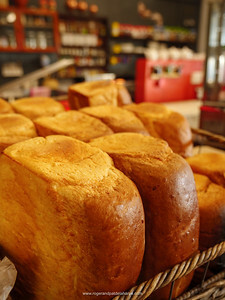 The Malagas Hotel is reasonably priced, very comfortable with pleasant staff and good wholesome food. A few kilometres away (in the direction of Infanta, Bredarsdorp and De Hoop) is the Breede River Trading Store that serves the finest egg and bacon rolls we've ever eaten (ask them to serve the roll open with an egg and some bacon on each side), damn fine coffee, and marshmallow "ice cream" cones sprinkled with hundreds and thousands. Now, when last did you eat one of those?! 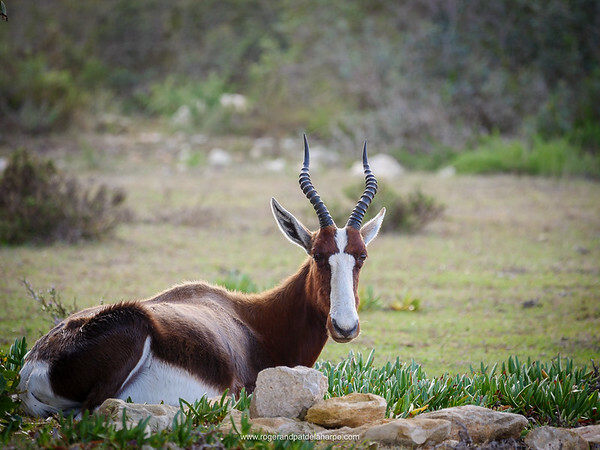 Please check out more of out travel photographs of South Africa here and if you are looking for other stock travel, wildlife and tourism image please drop us a line and we'll send you a selection. 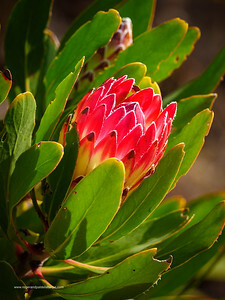 Bredasdorp protea, limestone protea or limestone sugarbush (Protea obtusifolia). 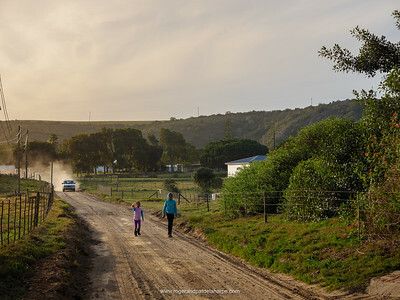 De Hoop Nature Reserve. Western Cape. South Africa.